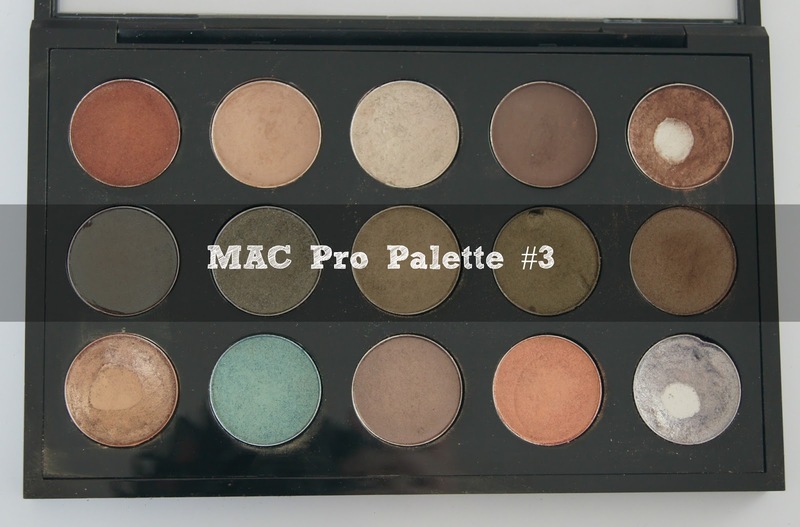 This is the third post of my 'MAC Pro Palette' series, you can see my first post here and my second post here and a post on how to depot your MAC eyeshadows here. 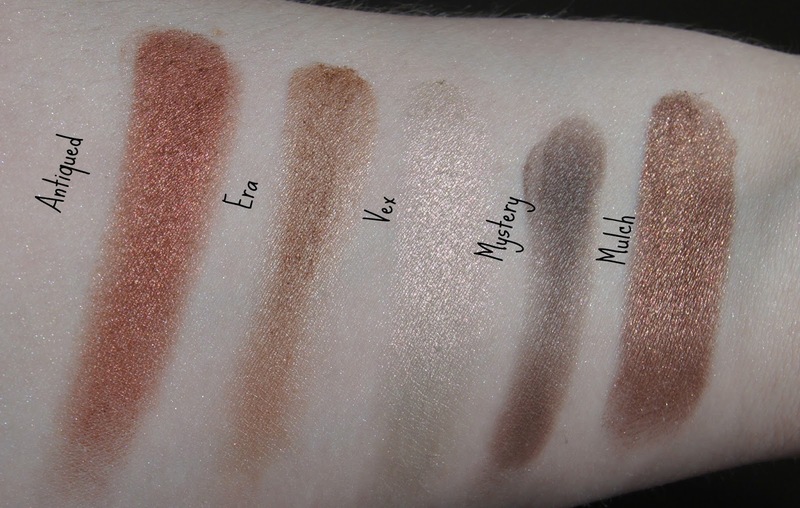 So yes I am a little obsessed with MAC but I just love their shadows. 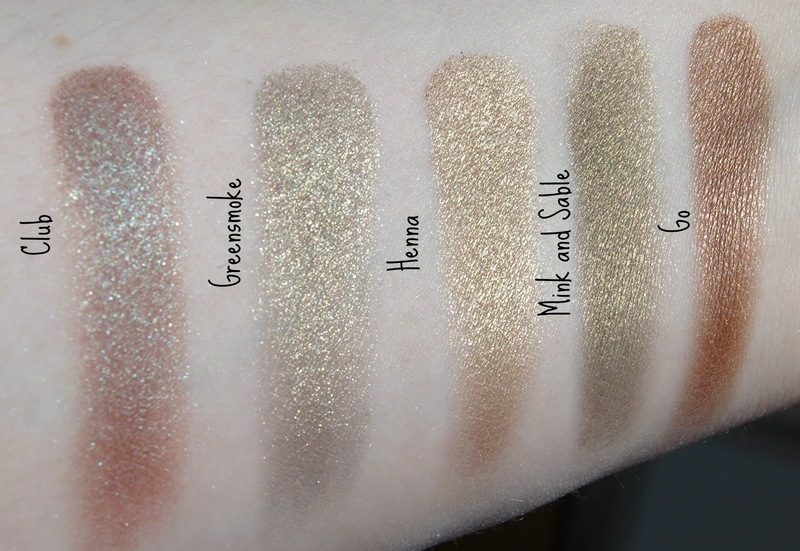 This third palette is probably the one I use the least but doing this post made me so happy because I rediscovered shadows I really and truly love and have started using them again. Antiqued is a warm copper with red undertones. 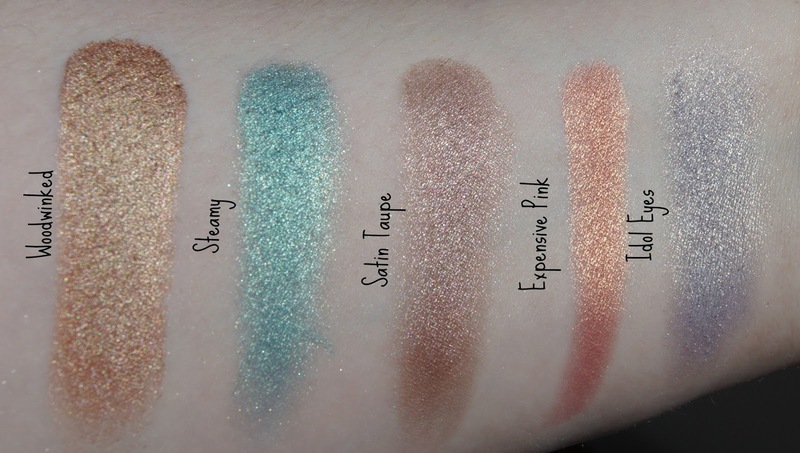 It's from the veluxe pearl line which is my favourite formula-rich, pigmented, velvety shadows that are a breeze to blend. Era is a great all over the lid shade, darker than beige with slight sparkle and a satin finish. Vex is one of the most unusual shades I own. In some lights it has a red pearl undertone and in others a green pearl undertone. Without the duochrome effect it can look a bit flat and grey but in the light it comes alive. Mystery is a cool toned grey brown and is often used as an eyebrow shade or eyeliner but also works really well in the crease when doing a smoky eye. Mulch is much loved as you can see! A bronzey chocolate brown from the veluxe pearl family it's amazing in the crease, and makes green and hazel eyes pop. Club is special. An amazing duochrome that definitely shouldn't be judged from its appearance in the pan (which is decidedly blah) it's like a peacocks tail in a pan-one moment it's a teal with reddy brown highlights, the next a blue toned chocolate brown. Trust me, you need it. Greensmoke is from the lustre family but has great pigmentation and colour pay off. A golden toned muted green. Henna is an even more golden toned green with a slight duochrome finish. I have seen some amazing looks created with the shades in this row but this one by Mimi at Makeup Withdrawal is stunning. Mink and Sable runs more olive green but again with a golden undertone. This is the row I need to use more because I love these colours. Go is a goodie! A warm antique bronze with good sheen. 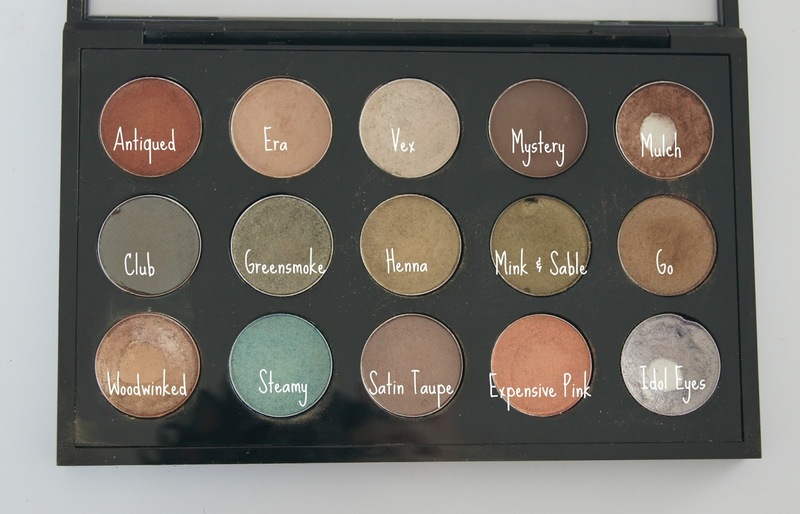 Woodwinked is my second favourite shadow of all time (after MAC Sable) and I recommend it to everyone!! A warm golden brown it looks amazing on everyone I have seen wear it! Steamy is a bit of a wild card in this palette and one I reach for in Summer (or for 70's fancy dress!). You can tone it down and use it as a liner but I just think this frosty teal is gorgeous. Satin Taupe-probably the best known MAC eyeshadow and an amazing all rounder. Everyone needs it, you can use it all over the lid or in the crease-it's plummy taupe with very subtle silver shimmer that just suits everyone. Expensive Pink is another bit of a wild card but a beautiful duo chrome with pink, gold and coral undertones. Great pigmentation too. Very versatile and I would pair it with the same shades you would pair MAC Cranberry with. Finally Idol Eyes is very much loved as you can see from the pan. I am dying to find an eyeliner in this lilac/blue/grey tone at the moment so you if know of one please let me know! The pigmentation on this can be hit and miss to be honest so I recommend using it with a damp brush. It pairs really well with greys.